Should I get an overflow of skimmer swimming pool? One of the decisions you need to make quite early on in your pool planning is whether you want an overflow (deck level) or skimmer (freeboard) swimming pool. The decision between an overflow and skimmer pool is fundamentally a filtration decision. However, it will make a difference to how your swimming pool looks. And it will be important to know in the early stages so you can be provided with accurate drawings for planning. And it will affect the price, so it’s best to know before you get installation quotes. 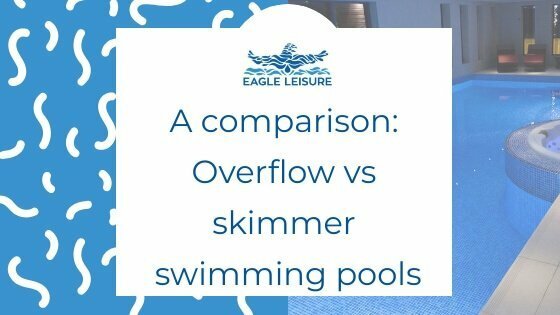 We look at the differences between overflow and skimmer pool constructions. This will help you decide which style is best for you and your pool project. What's the difference between an overflow and a skimmer pool? This decision is concerned with the materials used to build the pool. And will inform the cost, lifetime and maintenance associated with the swimming pool. But this isn’t the only decision that needs to be made when it comes to pool style. Essentially, overflow and skimmer are concerned with the filtration system. As they both offer different designs and routes of the water from pool to filtration. So, what’s the difference between overflow and skimmer pools. And which one is best for you? READY FOR YOUR POOL QUOTE? What is an overflow (deck level) pool? An overflow pool is also known as a deck level pool. The entire perimeter of the pool is surrounded by an overflow channel. The water line is level with the edge of the pool and overflows into this channel. The channel is typically covered with plastic grating. 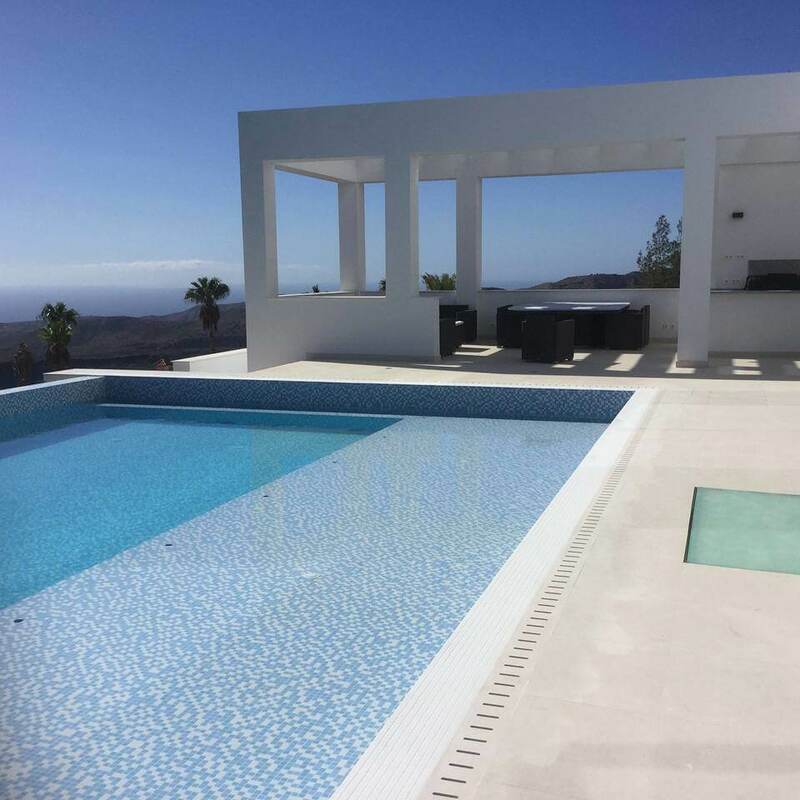 However, in high-end domestic pools, it is becoming more common to cover the drainage channel with tiles or stone for a luxury finish. This channel then leads into a balance tank. A balance tank is an additional holding tank that sits underground, below the pool level. Water from the overflow channel drains into the balance tank. This water is then fed into the filtrations system, before being pumped back into the swimming pool. The balance tank is typically made of concrete or plastic. It is capable of holding 15% of the total pool water volume. Because of this, pools using an overflow or deck level system require a lot more room. And this needs to be considered in the planning and drawing stages. Once construction has begun, it is very difficult to change the pool design to incorporate an overflow design. What is a skimmer (freeboard) pool? A skimmer pool is also known as a freeboard pool. In this type of pool the water sits approx. 4 inches below the edge of the pool. So there is a gap between the top of the pool and the water. A device called a skimmer is placed into the pool shell, below the pool edge. The skimmer draws the surface water into it, along with any dirt and debris. And then passes this water through the filtration system, before it is pumped back into the swimming pool. How many skimmers are in the pool depend on the volume of the water to ensure correct turnover rate. Domestic pools usually have between 2-4 (up to 10 for commercial). The pool water will only be drawn into the filtration system at these points, rather than across the entire surface as they will be in overflow pools. The primary advantage of overflow is in terms of filtration efficiency. It is generally accepted that the overflow/deck level offer superior filtration. This is because water is taken from the entire perimeter of the pool, not just in selected sections where the skimmers are situated. In addition, many people prefer the aesthetic of the overflow pool in comparison to the skimmer pool as it is a clean line from the water to the edge of the pool, with no gap. However, this is an entirely personal choice. How much more expensive is an overflow vs skimmer pool? You might have guessed. But an overflow pool/deck level is the more expensive of the two options. This is due to the inclusion of the drain channel, the channel cover and the construction and installation of the balance tank. Overflow pools tend to be anywhere between 15-20% more expensive than skimmer pools. On an average pool, this would usually amount to approx. 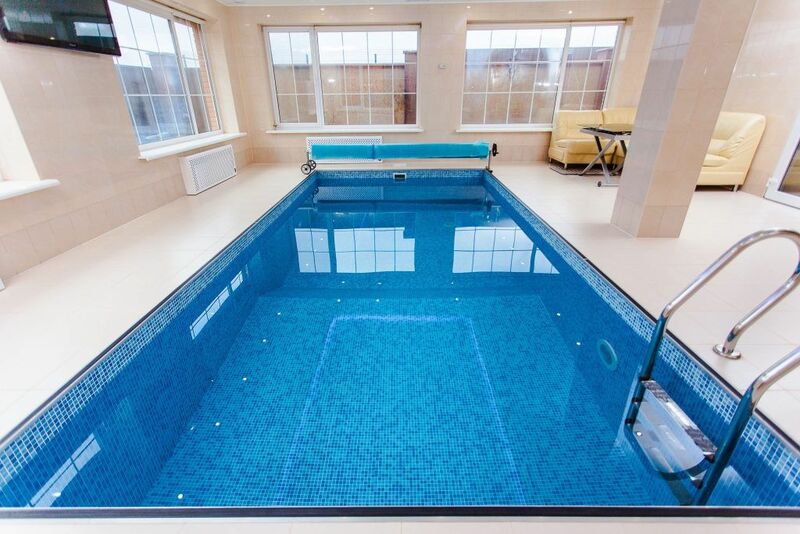 £15,000-£25,000 extra for an overflow swimming pool. 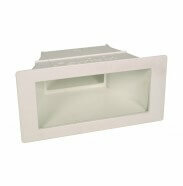 Although this can increase depending on the choice of drain channel cover. The last few years have seen an increase in tile options for the channel cover over the traditional plastic grating. And this can increase the cost again. Should you pick an overflow or skimmer pool system? 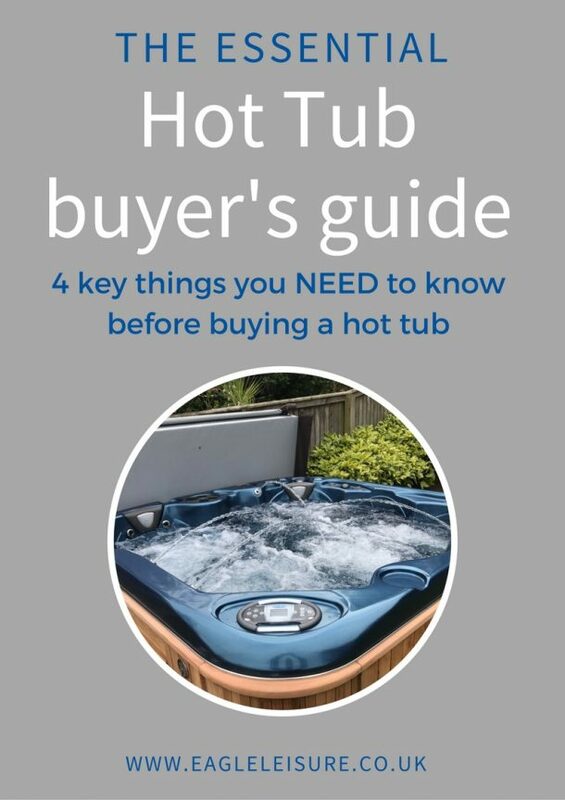 Do you have an extra 15-20% (likely around £15,000-£25,000 on an average pool). 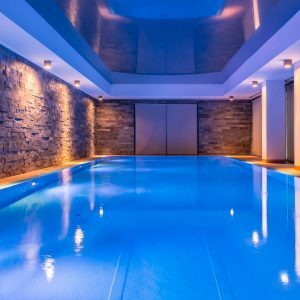 And do you have the space to include an underground balance tank, to the side of the pool that will hold 15% of the water volume of the overall pool? If the answer to either of these is no, then you will likely need to stick to a skimmer style system. If the answer is yes, you have the option to choose between which aesthetic you prefer. Skimmer or overflow. The decision between overflow/deck level and skimmer/freeboard pool is fundamentally a filtration decision. Although, it will impact the aesthetic, design and cost of your pool project. It is one of the things that you need to consider pre-planning stages to ensure space for the balance tank is incorporated in if necessary. Thinking about it at a later date can cause you lots of hassle, and a lot of money. Even if you aren’t sure on exactly what type of pool you want (concrete/liner/one-piece), it is worth figuring our early on whether you want an overflow pool or a skimmer swimming pool.